Another quilt! 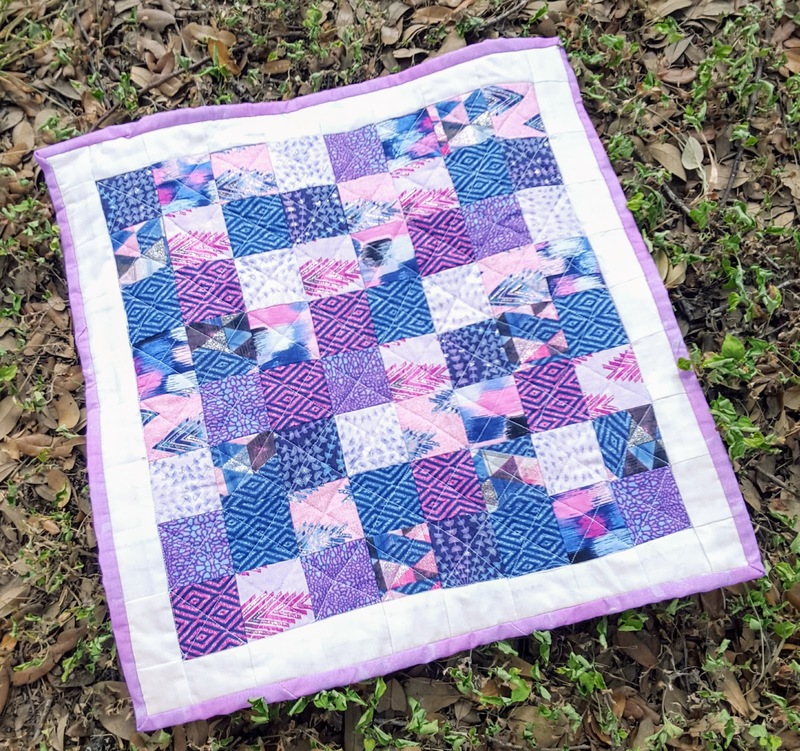 This time a mini-quilt. I saw a pack of 2 inch squares at the fabric store and wanted to see how it was working with such small pieces. 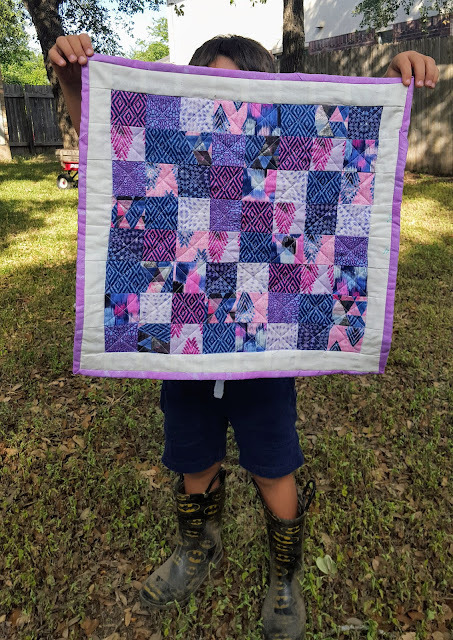 My mind went right to doll quilt, and a few days I had a finished doll quilt. It was fun and quick, and I've made a few more out of scraps and blocks leftover from other quilts. They are so cute and easy! I bought this old American Girl doll rope-strung bed off of ebay because it reminded me of Little House on the Prairie. 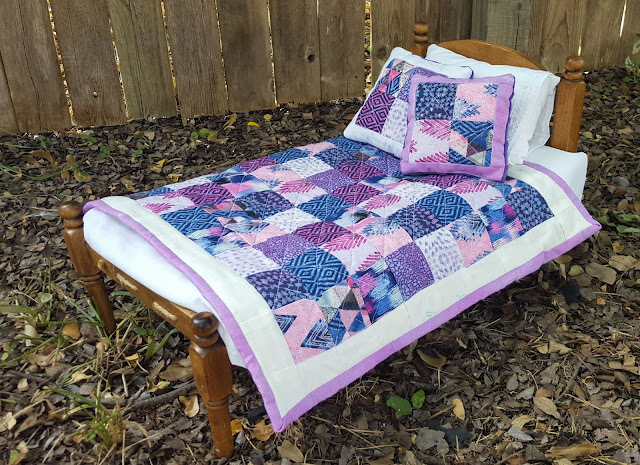 The quilt totally doesn't match time period wise, but it looks cute on the bed anyway. I used scraps from this project to make some matching pillows, of course. Waste not! The back, which I forgot to take a picture of, is leftover purple minky from Saoirse's quilt. I always buy way too much backing! James helping me with photos. Thanks James!